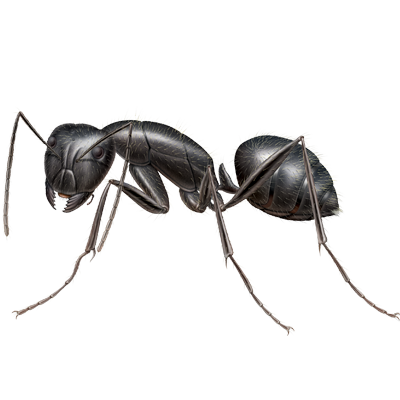 These are among the largest of ants and are vicious biters. Workers vary greatly in size from 1/4″ to 3/8″ in length. Usually they are black, but may have some brown coloration. They’re long-legged and move swiftly. Found throughout the United States in a variety of species. The tunnels they excavate in wood are clean, almost sandpapered in appearance unlike termite tunnels. Read about other types of ants to see which one you might have!